Don’t miss out on your chance to learn from Jim Salazar @ Turner’s Outdoorsman. 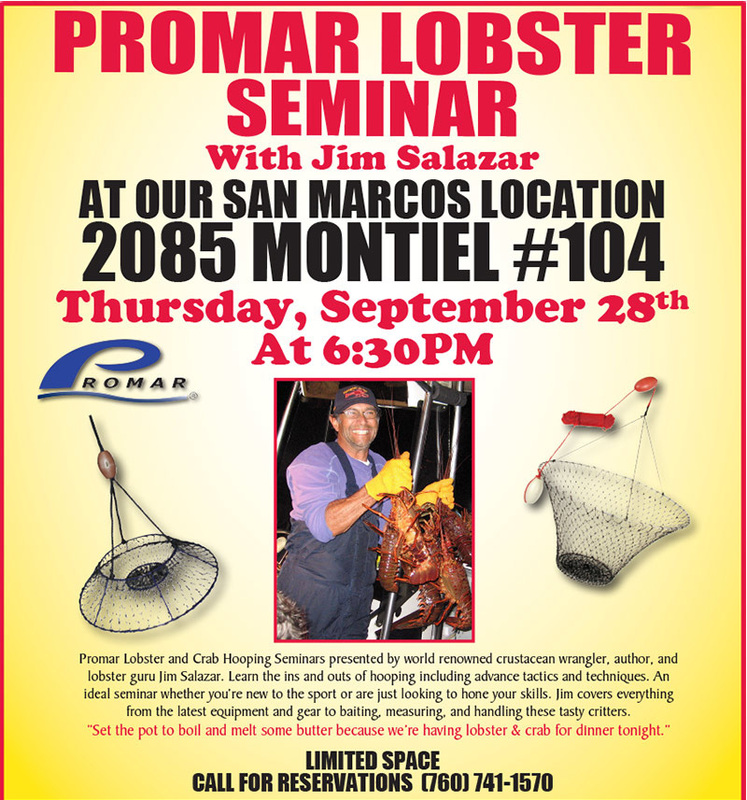 Promar lobster (promar marine)and crab hooping seminars presents by world renowned crustacean wrangler and author and lobster guru Jim Salazar. Learn the ins and outs of hooping, including advanced tactics. Jim will cover the latest equipment and baiting techniques as well as measuring and handling these delicious critters. The seminar will be helming on Thursday, September 28th at the 6:30 PM at the San Marcos location of Turner’s Outdoorsman located at 2085 Montiel #104. Space is limited so call 760-741-1570 for reservations.